We brought back a bunch of Comfrey from the allotment to put in the garden as it was clearly a powerful Bee magnet. It’s kept in a pot as it seems to be pretty invasive. 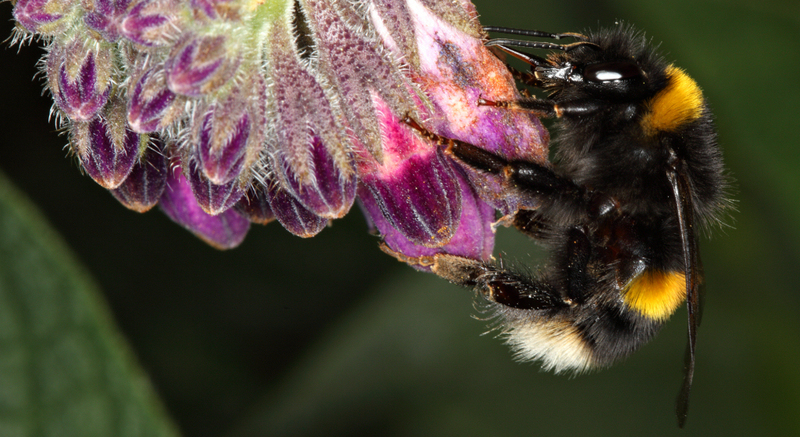 However – true to form – along come the Bees who seem to find this plant irresistible.